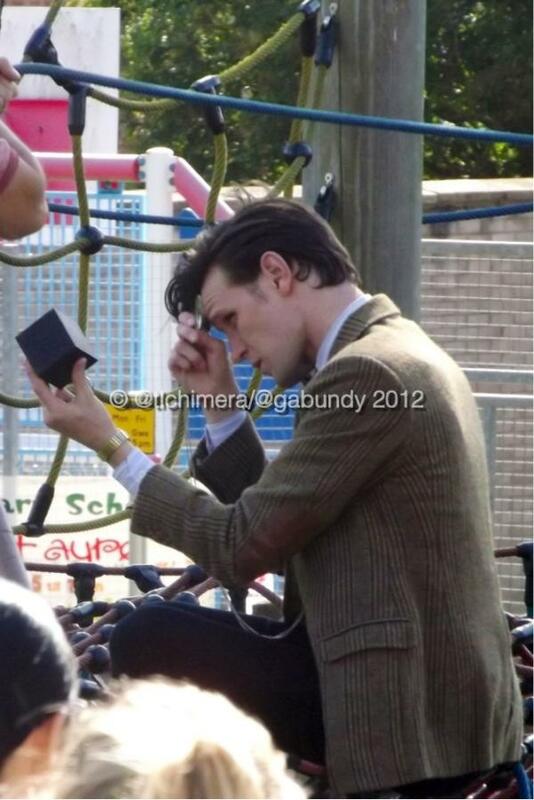 She-goat: #dwsr - Penarth again..
Today's been a bit odd. It seemed like we spent all morning desperate to find out where Doctor Who was filming, with only a few elusive tweets to go on. Her location says South Wales - but where?!! But it's not where he lives, it's where he works - that could be anywhere! And so on. We really should have realised it'd be trusty old Penarth. Firstly I owe a massive thank you to Ann, @ZZValleyGirl, for being brave enough to believe me when I promised @gabundy and myself aren't serial killers and giving us a lift to the Ponds' abode. It was great that we saw the interesting bit of filming with her - plus circumstances worked in her favour to mean she missed the boring bits! Clever old fate. Invasion of the very small cubes - that's new! We then moved along to Church Road where Arthur Darvill and Karen Gillan were filming. Unfortunately the lighting vans were parked outside the front of the property and a lighting screen hid the view from the back. We hung around for a few hours but apart from seeing Arthur a few times (and yet still failing to get a picture of him) we didn't achieve very much. We believe they finished at 8pm today and they will be filming at Church Road again tomorrow. I'm sorry that I haven't got any pictures or films to put up of those last few hours, but there really was nothing to see. It seems very odd that Karen and Arthur have been brought back for pick ups twice since they left. Especially since Karen chose to get her hair cut, which suggests to me she didn't know she'd be asked back to do pick ups - why would she make filming harder for herself? Last time we saw her at Church Road she was definitely wearing a wig (we didn't see her close enough today to find out if she still was, but I presume so.) 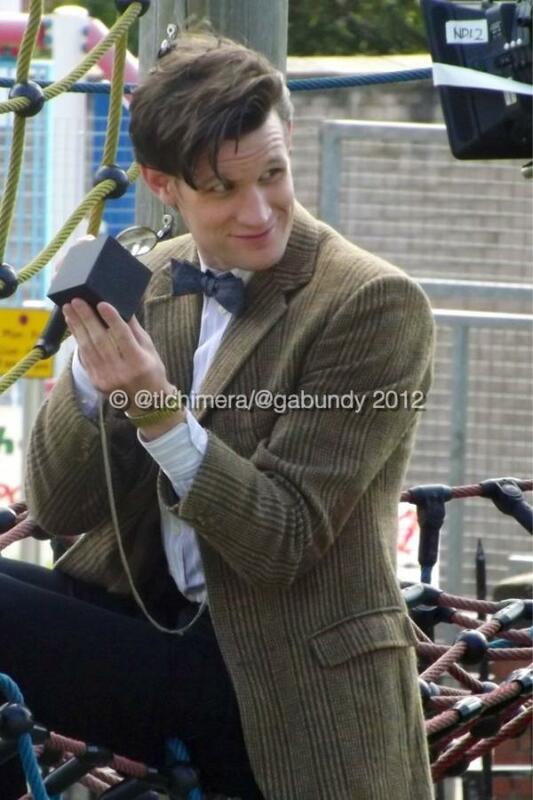 It also appears to generally be episode four (Cubed) that the pick ups are for (although they also filmed at Llanelli with weeping angels this morning**, so it's not just Cubed.) so perhaps they are running under or had problems during the filming. ** We didn't find out where this was until afterwards. I wish I could have seen that, can't believe I've missed it twice now (the original shoot and the pick up)! 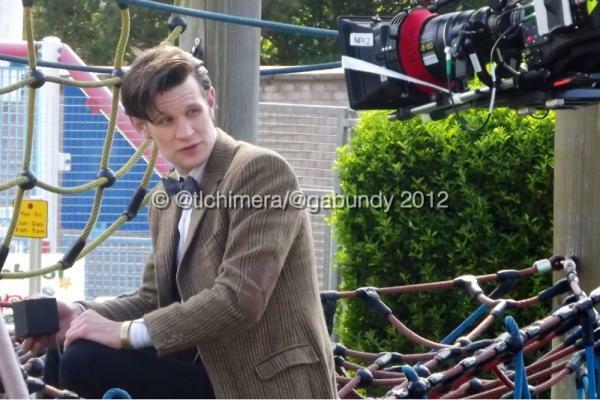 Anyway, here's hoping there'll be some exciting pictures of the Christmas episode soon! Thank you. And yes he was great, especially as he had to get off quite quickly. There were loads of kids watching (I tried to pick that up in the video but think it's a bit too jerky to see properly.) He didn't have time to say hi to them individually so it was great that he acknowledged them.